Listed below are items you will find at our condo. Master Bedroom: Cal King Bed (Sealy firm mattresses w/ 400 thread count sateen sheets), dresser, 2 night stands w/ lamps, alarm clock. Master Bath has luxury whirlpool bath/shower. Bedroom 2: Queen bed, night stand w/lamp, dresser. Bedroom 3: 2 sets of bunk beds, one standard with twin upper & lower, the other with twin on top and very comfortable full sized spring-supported futon mattress below. Dresser, tv, blu-ray player, PS2. Living room: Leather couch & love seat, single futon chair with ottoman, coffee table (large enough for puzzles and games), 42" HD TV with surround sound. Blu-Ray player with mp3 input, powerful gas fireplace. Wireless Internet. Dining room: Beautiful round oak table with 2 leaves easily seats 8 people. Comes with 6 chairs (& 2 additional spare in closet). Kitchen: Dishwasher, full sized range, microwave, fridge with ice maker, coffee pot, coffee grinder, tea kettle, service ware for 8 (plates, bowls & flatware), fully stocked kitchen includes new anodized cook ware set, Henkels knife set, waffle iron, hand mixer, blender, bake-ware, brita water filter, air pop popcorn maker. Parking: Open parking is right next to our unit. Storage: We do have an outside shed for ski storage. ** Mountain Shadows has 2 heated pools with saunas for use during the summer months. 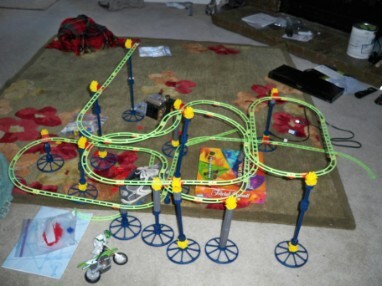 Sky Rail Roller Coaster Set will keeps kids entertained for hours!! 4 Imaginext sets w/ instructions in a box in the kids' room. 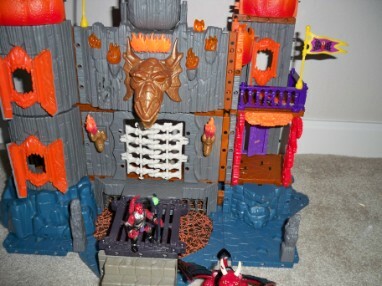 Many more toys, puzzles & games - even a doll house! !